What is now one of Western New York’s most unique living experiences for seniors, St. Francis Park is the legacy of the Franciscan Sisters of St. Joseph (FSSJ). The Sisters are an order of Roman Catholic Religious Women who built this magnificent facility in 2010 with the intended purpose of one day opening it to the community as a place to call home. In 2018, Catholic Health purchased the campus and helped the Sisters’ vision become a reality with the opening of St. Francis Park, an independent living facility for seniors from all walks of life. We invite you to spend some time on this site to learn more. St. Francis Park welcomes men and women aged 65 and older from all walks of life, regardless of religious affiliation, who are looking for a comfortable and convenient alternative to home ownership. 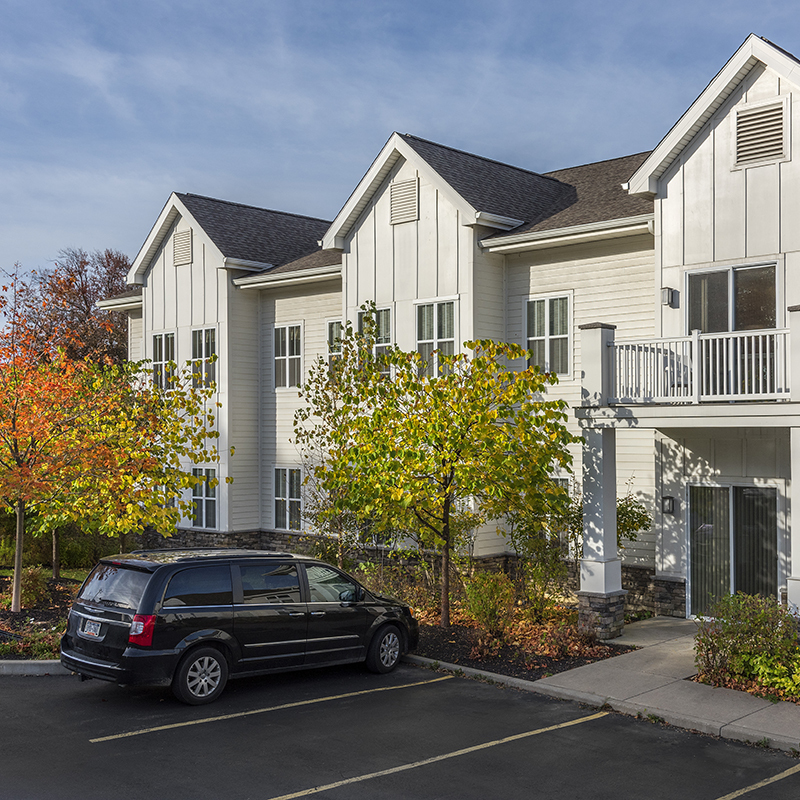 Our neighbors live independently and in the years ahead, residents may be able to take advantage of a wide range of services available from Catholic Health – maximizing independence, while making needed care available. Specific healthcare/eldercare programs are in development and subject to state approvals. Built to the highest standards of environmental stewardship, St. Francis Park is LEED Platinum Certified. LEED is a national certification system developed by the U.S. Green Building Council (USGBC) to encourage the construction of energy and resource-efficient buildings that are healthy to live in. LEED stands for Leadership in Energy and Environmental Design. St. Francis Park is highly energy efficient and includes many environmentally sustainable features. 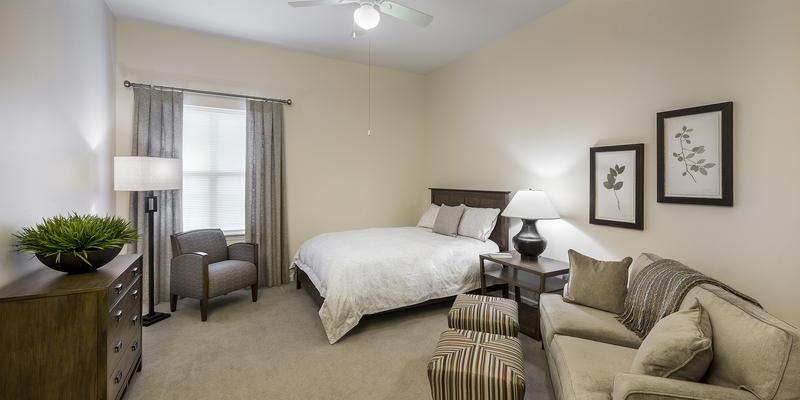 Our Studio Suite Apartments provide a comfortable, cozy “home within a home.” Each unit includes a comfortable living space, a small kitchenette complete with a mini fridge and microwave, and a full bath. 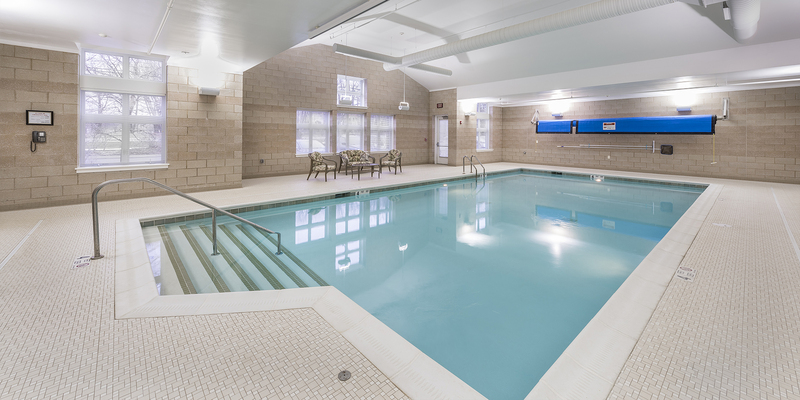 Just outside your door, you will find comfortable parlors, dining areas and a host of other amenities including an indoor swimming pool and a well-equipped fitness room! 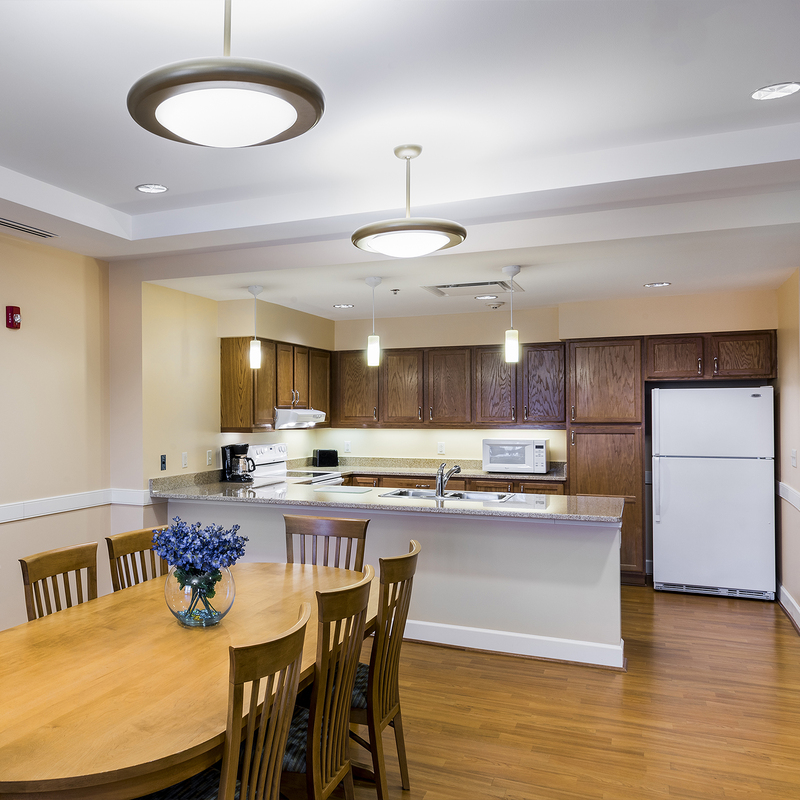 Enjoy chef-prepared meals in the community dining room or our pleasantly appointed formal dining room. Flexible meal plan options as well as a full range of standard and optional services and amenities are available. 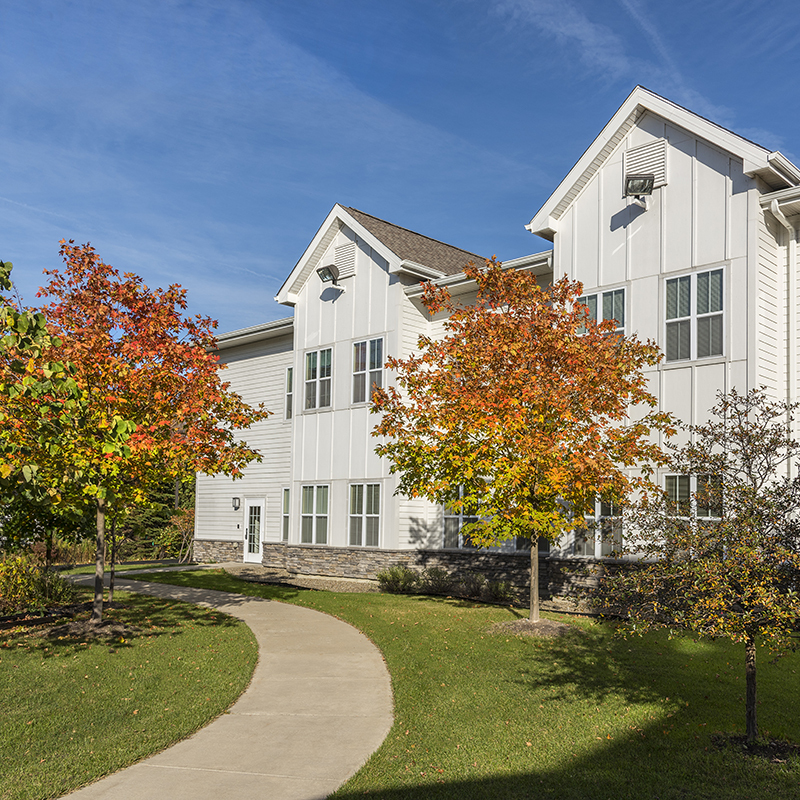 To schedule your tour of St. Francis Park please call (716) 649-1205 or submit a tour request form.